We’re taking a walk down memory lane with Lisa on Location, a Hill Country Wedding Photographer, who posted an awesome article on her blog about Old Glory Ranch. 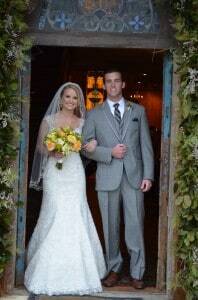 We love that she started her Outstanding Texas Hill Country venues with Old Glory Ranch! We’ll call it our TBT “Throw Back Thursday” blog! “When you get right down to it, Central Texas is fortunate to have some of the best wedding venues anywhere. It’s an embarrassment of riches, to be honest. As a Central Texas wedding photographer based in New Braunfels, Lisa’s been blessed to photograph weddings all over–from historic Fredericksburg in the Hill Country, to San Antonio’s famed River Walk to the sunny shores of Lake Travis–and loves every minute of it! It seems that brides are asking her about potential wedding venues more often these days, so we’re going to start spotlighting some of the outstanding Texas Hill Country wedding locations, starting with Old Glory Ranch in Wimberley. The first thing that hits you when you emerge from the wooded drive onto the grounds is the gorgeous, honey-golden chapel. The exterior is smooth-cut cedar planking, and the result is a magical combination of rustic charm and elegant dignity. I’m serious folks, when the sun shines down, the chapel literally glows. It is exceptionally roomy inside, too. The wood surfaces are all polished smooth, and rows of windows on either side of the chapel fill the space with a warm glow. Any wedding photographer will tell you this is some of the absolute best light to shoot in–it gives everyone healthy, attractive skin tones and adds a rich warmth to all the photos. There’s a lovely covered back patio area for receptions, but for a mroe formal dinner. the chapel hall can be converted to that in short order as well (a neat trick if the weather doesn’t cooperate!) Stained glass and detailed painting on the interior beams complete the pickture, with old-world, Germanic charm. Owner Suzanne McCord (who just became a grandmother this week–Congratulations, Susan!) has more than 2,000 acres on the grounds which she’d developed impressively. The Gatehouse Pavilion is an outdoor venue suitable for smaller gatherings, and there are other private structures as well. What’s most impressive, however, is the two miles of riverfront access along the Blanco. Here McCord has built two fantastic outdoor wedding venues–the wooden Wedding Deck, bordered by a large grassy lawn suitable for up to 500 guests, and the smaller Stone Landing, which can accommodate smaller gatherings of 75 or less. Both outdoor venues are literally right on top of the Blanco River, surrounded by spectacular old-growth Montezuma Cypress. For lovers of outdoor weddings, it doesn’t get any better than this. Old Glory Ranch is happy to recommend Lisa as one of our preferred photographers. https://oldgloryranch.com/wp-content/uploads/2014/11/logo-400px.png 0 0 Suzanne McCord https://oldgloryranch.com/wp-content/uploads/2014/11/logo-400px.png Suzanne McCord2014-07-03 19:47:452015-09-16 15:17:41"Outstanding Texas Hill Country venues - starting with Old Glory Ranch"
The Texas Hill Country wedding of Sarah Fabian & Logan Prewett was held at Old Glory Ranch on October 5, 2013 and is featured in the July/August issue of Weddings in Houston Magazine. “We are very pleased with the publishing of Sarah & Logan’s wedding. It is an excellent representation of an Old Glory Ranch wedding,” said Suzanne McCord, OGR owner. Middle-school classmates who attended separate high schools then reconnected in college, Sarah and Logan have a long Houston history and a lot of family and friends between them. Their choice of Wimberley’s Old Glory Ranch as the venue for their festive fall wedding gave them the opportunity to celebrate with 300 of their nearest and dearest in a setting of privacy and natural splendor. “The theme for our wedding was ‘shabby chic’ and rustic,” explains Sarah. “Everything was perfect – from the “beautiful flowers” to the “delicious food” to the “mismatched vintage china.” Best of all, she adds, was having those she loved most make their way to the Hill Country for an unforgettable destination wedding conveniently close to home. You may view the article here Weddings in Houston magazine on pages 170 thru 172. Bridal Carriage: Decotah’s Dream Team Carriage Co.
1) Service – Our number one priority is YOU and making sure your event happens exactly as you envision! The main comment we hear from clients, are rave reviews of the service they receive before and during their event. Our goal is to have the couple, their families and guests show up and have a wonderful time while we take care of all the details including set-up, room transition, break-down and everything in between. We offer assistance in many areas during the planning stages of each event and meet with clients for one-on-one consultations and, unlike many other venues, we never limit phone calls or emails. We are here for you. 2) Experience – Our clients appreciate that Old Glory Ranch has been providing the ‘ultimate’ Texas Hill Country wedding experience for hundreds of couples – for decades! 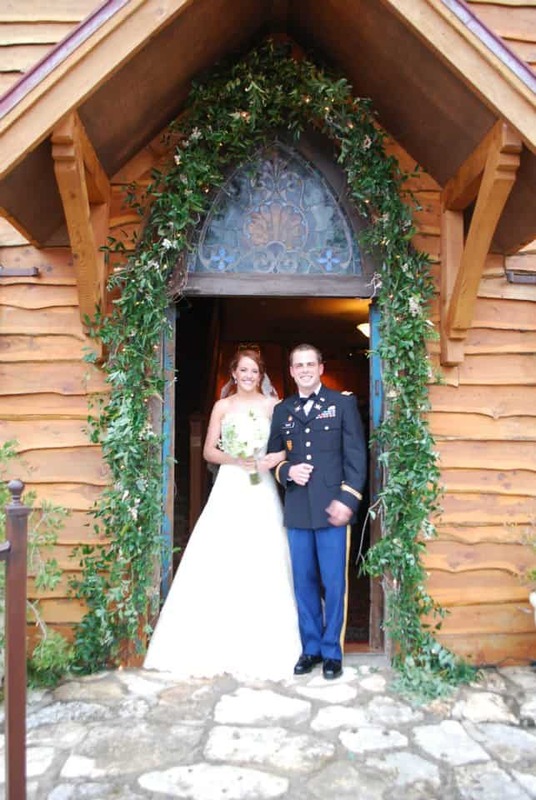 Nearly 400 newlyweds have crossed the Old Glory Ranch threshold since their opening in 1997. Many of the staff members have been on board since the very beginning. Clients and guests are treated with professionalism, courtesy, and welcomed with warm smiles and accommodating spirits. 3) Wedding Coordinator – We welcome Outside Wedding Coordinators, but for those who aren’t brought to us by one, we have one available. For all of our Chapel Hall weddings and receptions we include an experienced Day-of Wedding Coordinator in our facility fee. They are in charge of the execution of the timeline and taking care of all the needs of the couple the evening of their event. Some offer extended services for clients wanting more assistance in certain areas such as tuxedo rental, finding invitations, booking lodging, etc. When utilizing our Day-of Coordinator, she will do many ‘behind the scenes’ duties throughout the night. She will prepare plates for the bride and groom and guide them through the necessary timeline constraints yet keeping them fluid for change. Towards the end of the night they will load up a designated vehicle, and departure vehicle, with all the couples belongings. They will also pack up a ‘to-go’ package for the couple in case they were having too much fun meeting, greeting, and dancing, and didn’t get an opportunity to dine! 4) Preferred Vendor lists – Clients rave about our preferred vendor lists which help them tremendously in the planning stages of their event. Whether you are looking for officiates, accommodations, caterers, bakers, photographers, videographers, ceremony musicians, bands, photo booths, transportation needs, beverage providers, or something unique, Old Glory Ranch has a list of what we refer to as our Texas Hill Country “tried and true.” You can rest assured that each vendor has ‘made’ the list by providing quality service to previous clients. We will even assist in scheduling appointments for tastings, checking their availability, or researching to find someone or something new that might not be on our list, etc. 5) Ceremony & Reception Options – Old Glory Ranch offers a variety of options when planning your event. And since we only hold one event on any given day, you receive our utmost attention to assure that yours is executed beautifully and all details in place upon arrival. Your ceremony can be held inside our historic Chapel Hall, on the Wedding Deck on beautiful banks of the Blanco River, in our ancient Oak Grove, or the open air Gatehouse Pavilion. With 2,200 acres, finding the ideal Texas Hill Country spot for your ceremony is a breeze! You may take advantage of our full service venue, or if you are on a smaller budget with 100 or fewer guests, you may prefer a more ‘do-it-yourself’ approach. Either way, you have choices for consideration. Receptions may also be held inside Chapel Hall or around our covered Patio and under the giant Oaks. Many clients like an “in-out” experience offering their guests the best of both worlds. We can accommodate larger groups than many venues in the area, yet intimate events are just as easily handled. Naturally, air conditioning and heating options will be welcomed during some months, we have the ideal solution for that as well. 6) Inclement Weather Plan! – If you are planning an outdoor event, perhaps at one of our riverside ceremony sites, along with a patio reception and Mother Nature has a different idea, we have you covered, so to speak! We watch the weather very carefully and will give you a call if we feel another one of our indoor options might be more suitable for you and your guests comfort. 7) Location & Views – Lots of ‘Ooooos’ and ‘Ahhhhs’ take place as soon as guests enter the Old Glory Ranch gate. The lovely Texas Hill Country comes to life serving as a backdrop for the rustic appearance of Chapel Hall. With nearly 2 miles of the emerald green Blanco river cutting through the property, and unobstructed views of the hills, along with no ‘city lights’ to water down the scenery, Old Glory Ranch is truly a gem in the Wimberley valley. Conveniently located between the Austin, San Antonio, Houston, San Marcos, Dallas and Permian Basin areas. 8) Flowers – “Gorgeous”, “Stunning”, “Amazing”, “Beautiful”, all comments that we hear from our clients, and their guests. The OGR Floral Team is top notch and executes each brides vision into fruition for their events, whether personal flowers, centerpieces, or indoor-outdoor decor. With a huge inventory of varied styles of containers to coincide with any bride’s vision, it is easy for her to pick and choose the perfect look she is trying to achieve. Clients are provided a private online link to the OGR floral gallery to see what is available and have a one-on-one meeting with our designer. 9) Donkeys! – Need we say more?! These little guys and girls are very popular among our clients and adored by their guests. Tons of ‘selfies’ are taken at each event when our miniature donkeys are present. Their charming floral lined saddle packs make it easy for guests to grab a beverage along with a unique photo to share on social media sites! 10) Child Care – Not many venues offer the option of child care for wee ones attending a wedding. Here at Old Glory Ranch we have experienced adult childcare attendants, and an ideal location adjacent to the venue which includes restrooms, changing station, baby bed, pack-n-play, and where children can watch a variety of movies and age-appropriate activities, while their parents enjoy a ‘worry-free’ fun evening of celebration. First Wedding of Season – SPECTACULAR!! Scarlett Steakley and her mother, Pam Bouche, toured Old Glory Ranch in December of 2011. Scarlett knew immediately that it was the perfect venue for her wedding – but time was short. Her then fiance, US Army Captain Shane Mercer, was scheduled to be transferred to Hawaii for his next tour and he didn’t want to go there alone. He wanted his beautiful bride to join him. A date of February 18th, 2012 was set and the wheels were in motion. Contract secured, vendors contacted, and – well… let’s just say tons to be done in a span of less than 2 months. While planning a wedding is stressful enough on its own, add two military moves from different areas – on military time – not your own, invitations to send out, tastings, dress fittings, bridesmaids dresses to secure, tuxedo rentals, flowers to choose, tenting in case of inclement weather, transportation, lodging, etc., etc. While the planning stage was fast and furious, the outcome couldn’t have been better. Even the weather cooperated the day of with rains easing up shortly before the ceremony and staying at bay for the remainder of the evening. This was to be a day to remember…and that mission was accomplished. Tons of flowers adorned nearly every corner of the interior and exterior of Chapel Hall. A full-blown fireworks show capped off a perfect night as the couple left through a tunnel of sparklers with guests cheering them on. Wishing this special couple a wonderful and full life together. https://i2.wp.com/oldgloryranch.com/wp-content/uploads/2012/09/2015-07-21_1259.png?fit=521%2C204&ssl=1 204 521 Suzanne McCord https://oldgloryranch.com/wp-content/uploads/2014/11/logo-400px.png Suzanne McCord2012-09-17 16:31:542015-09-16 15:17:43First Wedding of Season – SPECTACULAR!! Who Pays For What Part Of The Wedding? Historically, the bride and/or her family have assumed the majority of the wedding related expense. The more modern approach allows for division of costs between the couple and/or both sets of parents. Following are some of the more traditional guidelines that you can adopt or modify to suit your particular needs. The itemization also provides a check list of matters that may require attention in your wedding preparations. Invitations, personal notes and mailing expense. Transportation for the wedding party. Wedding dress, headpiece and accessories. Accommodations for out-of-town bride’s attendants and guests. Wedding gifts for the bride, best man, groomsmen and ushers. Flowers for the bride’s bouquet, corsages for the mothers and grandmothers. Accommodations for out-of-town groomsmen, ushers and guests. Wedding gift for the couple. Bachelor party and/or bachelorette party. https://oldgloryranch.com/wp-content/uploads/2014/11/logo-400px.png 0 0 Suzanne McCord https://oldgloryranch.com/wp-content/uploads/2014/11/logo-400px.png Suzanne McCord2012-09-17 16:25:512015-09-16 15:17:43Who Pays For What Part Of The Wedding? Do I really need a Wedding Coordinator? Can’t I just plan my own wedding from beginning to end? Of course you can! But the real question is do you want to? It takes a vast amount of time to truly plan a wedding, especially since it’s only the one day of your life you’ve been dreaming about it since you were a child! There are logistics that you probably haven’t even thought of at this time that are everyday tasks for someone with experience. Many venues now include a Day-of-Wedding Coordinator with their facility fee. Some venues also provide a Site Manager to manage staffing, vendors and any complications or trouble-shooting that may come up which helps everything run smoothly. Your Wedding Coordinator will provide a detailed timeline for you and keep everyone on track from the start of the evening until the very end. If they are not included with your venue, many brides find them well worth the investment just to help assure their day is as stress free as possible. The Wedding Coordinator will be your ‘best friend’ of the day, and your go-to person for nearly everything! Questions you have to ask yourself are: do I want to be responsible for thinking about when it is time to make a toast or cut the cake or have special dances? Do you have the time to make arrangements for lodging, a departure vehicle, catering – tastings and arranging a menu? Or, do you want to relax and enjoy this special time in your life. Most brides, even those who still want control of their day, go for the latter when their budget allows. This is your day to shine, a Wedding Coordinator should be your right hand person to handle all the stress of planning and pulling it all together,. So take the time to just simply be the bride, not the planner. Clients recognize that Old Glory Ranch is a full service venue from the time they walk through for a tour until they leave for their honeymoon. Old Glory Ranch has received accolades from previous clients and been awarded by their peers in the industry. They pride themselves in quality service and treat their clients with respect. Their brides are their priority and they show each of them that by ‘holding their hand’ every step of the way and helping as “much” or “as little” as the client desires. https://oldgloryranch.com/wp-content/uploads/2014/11/logo-400px.png 0 0 Suzanne McCord https://oldgloryranch.com/wp-content/uploads/2014/11/logo-400px.png Suzanne McCord2012-09-17 16:22:152015-09-16 15:17:43Do I really need a Wedding Coordinator? Wedding Venue or Wedding “Factory” what’s your pleasure? It isn’t easy choosing a wedding venue. After all, the ‘place’ is going to be the first thing your guests see when they arrive on your big day and you want it to be the perfect reflection of you and your ‘soon to be’. Naturally location, cost and ambiance are huge factors to consider for your special event but they aren’t the only things to examine as you muddle through your many options. Do they have preferred or required caterers, bakers, photographers, bar tenders, etc. No matter which venue you choose, try to build a relationship with those in charge. The better you communicate with them, the better they will understand exactly how to make your dream wedding come true. https://oldgloryranch.com/wp-content/uploads/2014/11/logo-400px.png 0 0 Suzanne McCord https://oldgloryranch.com/wp-content/uploads/2014/11/logo-400px.png Suzanne McCord2012-09-17 16:20:332015-09-16 15:17:43Wedding Venue or Wedding “Factory” what’s your pleasure?